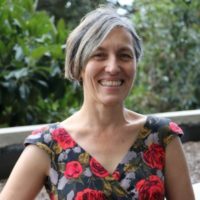 As an Engagement Advisor at Health Consumers Queensland, Leonie works with young people and families associated with the closure of the Barrett Adolescent Centre, as well as mental health consumers and carers and the wider community. She ensures consumers and carers are engaged and acknowledged in the design and delivery of new youth mental health services, conducts community consultation and helps to make change across the system. Over the past two years working with Health Consumers Queensland, I’ve been lucky enough to be involved in two exceptional projects to do with designing and developing services for young people with mental health issues. The first project began as a result of the closure of the Barrett Adolescent Centre in Queensland and the associated deaths of three young people. After a Commission of Inquiry, the Department of Health agreed to implement a series of recommendations, including a commitment to work closely with consumers and carers to deliver several new services for young people with severe and complex mental health issues. Health Consumers Queensland’s role has been to facilitate and support consumer and carer involvement throughout the initial implementation of the recommendations from the inquiry and now the ongoing work to build new services. The second project has been working with Children’s Health Queensland Hospital and Health Service to develop and implement a youth mental health peer worker framework program at Children’s Health Queensland Hospital and Health Service. In order to provide the best possible service for young people accessing youth mental health services, the Y2Y Peer Worker Project used a ground-up methodology to ensure young people, carers and clinical staff were involved. This included working with both an existing youth advisory group, a consumer support officer co-leading the project and the inclusion of young people on the project reference group. It is also key to changing the culture to one where the idea of developing any service without consumers and carers involved would be considered preposterous. Both these projects have a common approach – putting the views and voices of young people and their families at the heart of the work. This is no simple feat, but it’s something that is vital and critical to developing successful and effective services. It is also key to changing the culture to one where the idea of developing any service without consumers and carers involved would be considered preposterous. Strong leadership support from executives in Queensland Health and Health Consumers Queensland – executives in both the Department of Health and CHQ as well as the CEO of Health Consumers Queensland, have been unwavering in their support and advocacy of consumer and carer participation in both projects. This has been invaluable. Willingness of consumers, carers and departmental staff to work closely together – despite low levels of trust in some cases, there has been a willingness from consumers and carers to work with clinical and policy staff to ‘turn a new page’. This has been reciprocated and meant that over the course of time, trust levels have increased substantially. Payment of consumers/carers and support for them to attend meetings, educational trips and other activities – support for consumers and carers to attend activities and be resourced to do so is a significant enabler to participation. Existing mechanisms for reaching out to young people – these include the youth advisory group, existing Facebook networks, utilising links with Education Queensland and youth mental health advocacy websites. The inclusion of a Consumer Support Officer on the project team – having a project team consisting of the Consumer Support Officer, a younger person with lived experience of child and youth mental health services and employed by CHQ, as well as the HCQ Engagement Advisor improved the consultation process and really highlighted the value to clinical teams of including young people with lived experience as peers. The outcomes from both these projects are yet to be fully realised however the gains made along the way in shifting culture and creating more opportunities for young people and their families to make a difference are contributing to a positive change in the system.